Integration of all data relevent to pipeline integrity is an important part of the pipeline industy’s goal of zero incidents. Pipeline releases occur for a variety of reasons. The root cause of failures is often a combination of issues, such as fabrication anomalies exacerbated by sub-optimal operations. For example, a leak of gasoline in the summer of 2018 has been attributed to corrosion aggravated by elevated hoop stress. datasets to identify potential problems, most pipeline operators struggle to combine datasets in meaningful ways. To detect and diagnose potential issues in their pipelines, many operators still rely extensively on cumbersome spreadsheets of in-line inspection (ILI) results. There are several problems with this approach, including the inability of ILI results to portray a total picture of the threat to pipeline integrity. For example, a crack within a dent near a pump station with very aggressive pressure cycling presents a much greater threat than a same-size crack without a dent or lighter pressure cycles. Manual updates such as updates to high consequence areas (HCA) within ILI results spreadsheets further compound the issue as engineers dedicate precious time on intermediate administrative tasks at the expense of value-added, high-level analysis. Moreover, the simplicity of the once trusty spreadsheet is insufficient in modeling geospatial data. The industry’s drive towards using geographic information systems (GIS) is encouraging, but only in early stages as most systems do not include data that is critical to identifying integrity threats. As a result, integrity engineers are presented with a less than full picture of potential threats. So, what functions should your systems offer to engineers in order to provide the most complete picture of the threats to pipeline integrity? 1. How many types of data can your systems overlay? Overlaying results of one ILI run with results from other ILI runs is insufficient. ILI results must be integrated with other data — including maintenance records, SCADA data and other inspection methods such as Close Interval Surveys (CIS). This integration allows for immeasurably better threat assessments by providing a comprehensive picture of all available data. This includes simultaneously searching for potential anomalies such as metal loss, cracks and dents from ILI results, derivatives of SCADA data such as aggressive pressure cycling, potential weak points from previous repairs and other data-centric sources that are relevant to threat identification. 2. Do your systems paint a complete picture (literally)? Strong systems should not only compile and correlate data, but provide rich visualization capabilities that allows users a holistic view that is easily comprehended. Systems needs to map all of the risks and display the threat combination of ILI anomalies, CIS data, etc., along with HCA locations, previous pipeline repairs such as sleeves and composite overwraps. It should also include numerous other attributes such as pipe diameter, wall thickness and SMYS. The solution should be extensible so that any number of other geographic and time-based data may be integrated with relative ease. Engineers are not the only audience that benefit from easily understood visualizations of pipeline integrity threats. 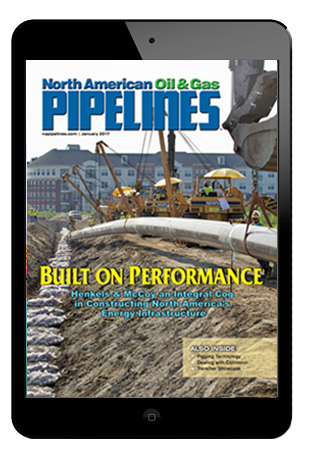 Executives, maintenance crews, regulators and even the public are among stakeholders that have an interest in pipeline integrity. Spreadsheets and lengthy reports are not as effective with these stakeholders as visualizations. As the saying goes, a picture is worth a thousand words. 3. Do your systems automate the identification of prominent threats? All data integration systems allow engineers to search for threats; advanced systems automate the identification of threats. As new data becomes available, whether it be a new ILI run, additional SCADA data or updates to HCAs, data integration systems should use algorithms to identify threats by identifying troubling combinations of data. This automation improves the efficiency of the engineer as they are able to spend more time determining the appropriate intervention to threats and less time searching for threats. 4. Do your systems perform adequately with enormous amounts of data? Even small pipeline operators have copious amounts of data. Single ILI runs produce thousands upon thousands of records for just a few miles of pipeline. SCADA systems collect thousands of integrity-relevant data, such as pressures, each day. CIS results typically contain thousands of records for just a few miles of pipeline. Data integration systems must be able to handle this Big Data problem. Integration of all data relevant to pipeline integrity is an important part of the pipeline industry’s journey towards Goal Zero. While there are even more considerations, we suggest you assess your company’s systems ability to quickly identify combinations of threats to pipeline integrity using these points. Tommy Page is a Managing Principal at Capco Energy and IT project leader serving the energy industry. With more than 20 years of experience, Page leads a national team in executing and implementing technical solutions that address critical business issues to energy businesses big and small across the United States.